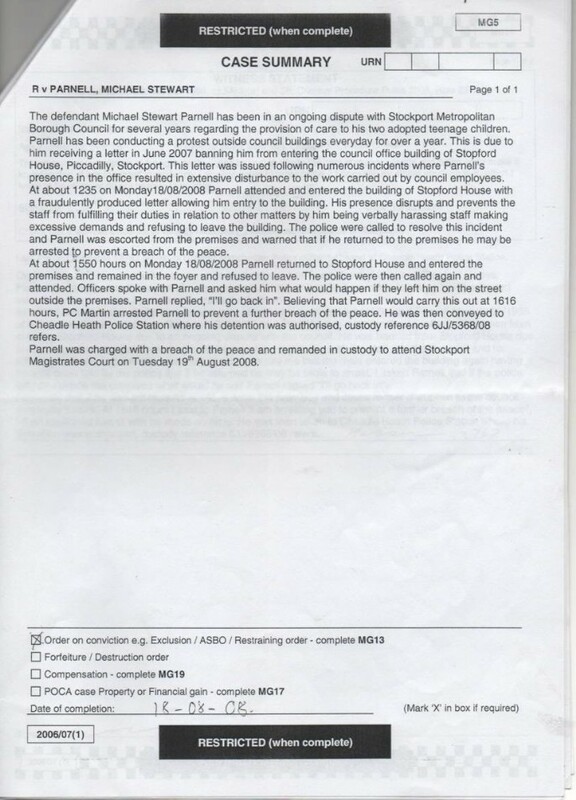 Lord Goddard, then Leader of the Council asks why Mr Parnell is being allowed to protest (his democratic right). He soon put a stop to that with the assistance of his presumably Masonic pals in the Crown Prosecution Service, Magistrates Court and Police. 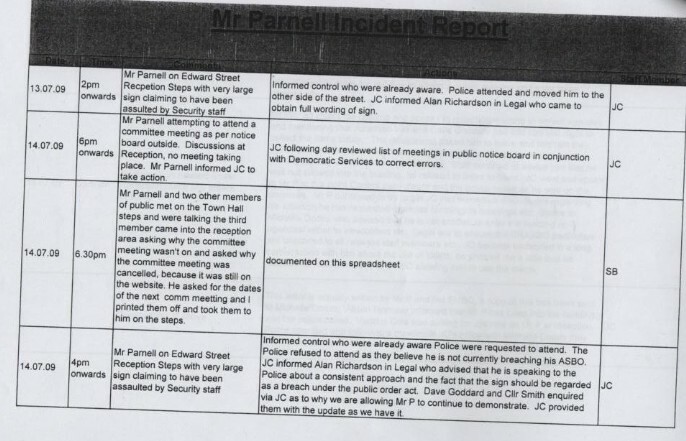 The Councillor Smith mentioned - John Smith - is an ex-policeman.